The idea for Tree of Life came as an isolated scene in my mind of mother and son running from something or someone who wanted to hurt them. There was no story to speak of until my old dog passed away and the reality of mortality hit me. I became completely obsessive about death and I struggled with the idea of having to lose loved ones and that one day my life would end, too. With the idea of mortality a story was beginning to take shape. But it wasn't until I came across a picture of Murtagh (a character from Christopher Paolini's Inheritance cycle) that I realised who my main character was going to be. I decided he would be the little boy and that something terrible would happen to him, and he would have to be raised in the immortal elven realm where he suffers the enhanced realities of his morality. I wanted Nature and the elves to be his antagonists, and I wanted him to be his own enemy, not just the bad guys. I also wanted a love story weaved in there with a dark priestess, which he struggles with, so even love itself becomes an enemy. The story for Tree of Life came together very quickly then. I went through the process I always do when writing. I keep hundreds of notes. I find as I start writing ideas just keep coming on their own accord, especially at night when I'm in that stage in between awake and asleep, so I try to keep a pen and paper next to the bed. I like to set my mind to dreaming about different scenes in the story, like a movie going on in my head. I also ask myself a lot of questions, starting with the main character - want does he want, what does he hate? If he wants something unusual, who else wants it and who are they? What world is he in? Who is he going to fall in love with? I find asking myself questions will just keep building and fleshing out the story as I answer them. I never, ever imagined I would become a writer, even though I've always had a fascination with stories, usually in the form of movies. The two things that motivated me to write were escapism from pain and wanting to be involved in the movie industry. I wrote a screenplay for Project Greenlight and made it to top one hundred with some pretty encouraging feedback. So I decided to try my hand at novel writing with hopes of one day having them adapted into movies. One of the reasons I wanted to become an actor was to not only lose myself in fantastic roles, but also to work with extraordinary people who share a passion over the same project and sort of become a little family. I'm experiencing a similar satisfaction being an author. Working with a small team of people who get excited over the same project, the story, the cover design, the videos, and everything else that goes into bringing a book to life. It's been a pleasure to work with my friends and family, and all of you who have supported me along the way. We still have a long way to go, but I'm looking forward to it! Thanks Elita - and thanks everyone who has been following my seriesof featured authors. My next blog post should see me back in Cyprus at the beginning of March. May I take this opportunity to thank all of you fab people who have supported me these last few weeks. Both The Assassins' Village and Children of the Plantation, and not forgetting The Surgeon's Blade have done phenomenally well on Amazon. THANK YOU! You all rock! Have a great week and weekend ahead everyone. What a busy couple of weeks! Wednesday 28th September saw the official launch of, Children of the Plantation and by popular demand it shot up to lofty heights on Amazon.com and especially Amazon.co.uk. So a huge THANKS to everyone who supported me by spreading the word and to those who had enough confidence in my writing to download a copy. Thank you – I couldn’t have done it without you, no way! We’ve just returned from a long weekend away with a group of friends. We stayed in a hotel in North Cyprus and had a great time. I’m a hasher and if you don’t know what that is I can tell you. Hashers can be found all over the world. Basically we all love to run or walk over some hard terrain following trails of coloured flour. The trails are pre-laid by a ‘hare’ and he or she does their best to make the run as interesting and tricky as possible with lots of false trails and check backs. At the end of our run we gather together in a circle have a few drinks and do some daft things – each ‘hash’ having their own favourites. Look us up on the ‘net if you’re interested under ‘hashing’. You might join a group yourself! Now for something totally different. I’d like to share something that I think is rather special with you this week. I truly can’t remember where I found it on the internet but the message really got to me. I believe it was written by a father before he passed away. This is a beautiful piece with some lovely pointers towards a rich and fulfilled life – please read and share with your own good friends. Be courteous, be punctual, always say please and thank you, and be sure to hold your knife and fork properly. Others take their cue on how to treat you from your manners. Be kind, considerate and compassionate when others are in trouble, even if you have problems of your own. Others will admire your selflessness and will help you in due course. Show moral courage. Do what is right, even if that makes you unpopular. I always thought it important to be able to look at myself in the shaving mirror every morning and not feel guilt or remorse. I depart this world with a pretty clear conscience. Show humility. Stand your ground but pause to reflect on what the other side are saying, and back off when you know you are wrong. Never worry about losing face. That only happens when you are pig-headed. Learn from your mistakes. You will make plenty so use them as a learning tool. If you keep making the same mistake or run into a problem, you’re doing something wrong. Avoid disparaging someone to a third party; it is only you who will look bad. If you have a problem with someone, tell them face to face. Hold fire! If someone crosses you, don’t react immediately. Once you say something it can never be taken back, and most people deserve a second chance. Have fun. If this involves taking risks, so be it. If you get caught, hold your hands up. Give to charity and help those who are less fortunate than yourselves: it’s easy and so rewarding. Always look on the upside! The glass is half full, never half empty. Every adversity has a silver lining if you seek it out. Make it your instinct always to say ‘yes’. Look for reasons to do something, not reasons to say no. Your friends will cherish you for that. Be canny: you will get more of what you want if you can give someone more of what they desire. Compromise can be king. Always accept a party invitation. You may not want to go, but they want you there. Show them courtesy and respect. Never ever let a friend down. I would bury bodies for my friends, if they asked me to . . . which is why I have chosen them carefully. Always tip for good service. It shows respect. But never reward poor service. Poor service is insulting. Always treat those you meet as your social equal, whether they are above or below your station in life. For those above you, show due deference, but don’t be a sycophant. Always respect age, as age equals wisdom. Be prepared to put the interests of your sibling first. Be proud of who you are and where you come from, but open your mind to other cultures and languages. When you begin to travel (as I hope you will), you’ll learn that your place in the world is both vital and insignificant. Don’t get too big for your breeches. Be ambitious, but not nakedly so. Be prepared to back your assertions with craftsmanship and hard work. Live every day to its full: do something that makes you smile or laugh, and avoid procrastination. Give of your best at school. Some teachers forget that pupils need incentives. So if your teacher doesn’t give you one, devise your own. Always pay the most you can afford. Never skimp on hotels, clothing, shoes, make-up or jewellery. But always look for a deal. You get what you pay for. Never give up! My two little soldiers have no dad, but you are brave, big-hearted, fit and strong. You are also loved by an immensely kind and supportive team of family and friends. You make your own good fortune, my children, so battle on. Never feel sorry for yourself, or at least don’t do it for long. Crying doesn’t make things better. Look after your body and it will look after you. Learn a language, or at least try. Never engage a person abroad in conversation without first greeting them in their own language; by all means ask if they speak English! And finally, cherish your mother, and take very good care of her. Beautiful, yes? What do you think? What Does an Author do All Day? Well autumn has definitely kicked in, even here in sunny Cyprus we’re experiencing cool evenings and it’s time to throw an extra cover on the bed at night. For me, the summer seemed to rush through. We had our usual hot weather beginning in June and we’ll most likely have perfect temperatures right up until Christmas. But what have I achieved during that time? I think I’ve achieved quite a lot. April heralded in the arrival of my second novel, The Assassins’ Village, in June I wrote a short story, The Bamboo Mirror. July produced my short story collection, Echoes of Life & Love to which I added extra content in September, and the latest, Children of The Plantation, was newly released on September 28th. So apart from thinking, planning, plotting, writing, editing and more editing and then the publication the rest of my time is spent in marketing. Oh and I have a husband, family and hundreds of friends to spend ‘quality’ time with. Phew. What staggers me most is not the writing –that’s the easy part – no, it’s the marketing. I’m sure lots of readers think it’s easy to write a book, do a spot of editing and then publish it – especially as it is so easy nowadays with the advent of Amazon and its ‘self-publishing’ arm. Uh-uh. The hardest part and the longest part is the marketing. And I firmly believe it’s not the book you’re marketing, but you. You, yourself, the writer and author. Over the few years I’ve been writing (which is my choosing and I dearly love what I do), I’ve come to understand that my biggest fans or followers are those that I get to meet or correspond with. I’ve built up a steady following on Facebook and Twitter and have some great rapport with friends on there – all good stuff. And then there are the paperbacks. I regularly attend fairs, fetes, shows and give talks to local societies. Meeting people and making friends, opens your eyes to all manner of things. I was recently exhibiting at a large show and sold many paperbacks. Some were bought by old friends/customers and some to newcomers. It was truly fabulous to get talking to these people and hear the real feedback they gave me. Unknown to me a lady on the next stall was observing how I dealt with visitors old and new. She said that she’d never really appreciated just what benefit meeting your public, your followers and friends did for your product. Well let me tell you it is 100% benefit. People love to meet you, interact with you. And for me it’s a big deal. I enjoy listening to what they have to say and the advantages far outweigh the time I spend doing so. Good PR is vital. These people can make or break you. They deserve your time, after all they may have bought one or more of your books and don’t forget they too might have friends that love to read. So the next time somebody takes the time to write to you, or leave a written review somewhere, telephones or bumps into you at a fair, never forget YOU are on show 100% of the time – be nice to them, it pays. Good reading and thank you everyone, who has bought one of my books, written a review or simply sent me a nice message – I appreciate it! Good morning or evening depending on where you are in the world. I say this every week – but where does the time fly? 0730 hours saw me frantically pulling on clothes, brushing my teeth, feeding the cats and endeavouring to eat a bowl of breakfast cereal; remembering we’re off to a party later this afternoon AND I still have a weekend blog post to write. And I confess I’ve not given it much thought. After scanning Facebook, I noticed a fellow author Lia Fairchild asking what we all did for a living if not a full time writer- my initial response was ‘who has time for a job?’ For me this week has been particularly hectic and fraught at times. We’ve had two different groups of friends staying for two nights on separate occasions. Don’t get me wrong, I love my friends and enjoy them to stay, but it necessitates extra house cleaning, laundry, shopping for food/drink and preparing some tasty meals –just for starters. I found myself sneaking off on odd occasions to check Facebook, Twitter and see how my books were faring (well! ), but felt really guilty especially when the husband called me sad and to stop neglecting my friends. OK,OK. 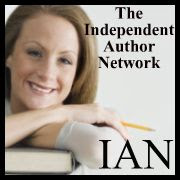 I was the featured author in Ereader News Today, on Thursday. This entailed more work, letting friends and fans know and sending out tweets and a blog – I apologise now if I overdid it but I thought I had to strike while the iron was hot, and judging by the sales it was well worth it!! The Assassins’ Village has soared on Amazon.com. On top of that, with no air con or fans to keep us cool in temperatures well into the 100’s, I am plagued by the husband as he goes over new material for his gig on the 30th! Apparently he has a couple of numbers included in the programme that I am expected to sing with him – er yes, I enjoy and regularly act on stage but I’m not so keen on singing in front of a large audience on my own, and I don’t know how to get out of it. Help - any answers please? So you could say, well what a bummer of a week! But wait a minute… going back to Lia’s question, I am ‘officially’ retired. My time is pretty much my own and yes, I have some commitments but I can mostly do what I like – acting, writing, walking, hashing, partying, reading John Locke’s new book on ‘how to sell a million books’. Having friends to stay was great in itself and they all bought the new paperback edition of The Assassins’ Village, for their friends as well. OK. So we have no power at times, but this gives me three hours at a stretch when I can’t do anything else much but crack on with novel number three, Children of The Plantation. Already I’ve written an extra 30,000 words and I’m getting near my first major edit. As for the husband, well he’s performing at The Magic Teapot. This is going to be packed with friends, fans and summer visitors, most of whom have not yet seen or bought my new paperback! OK so I’ve got to sing, but I’ll have a captive audience! So, I have to say that for me, everything that’s happened this week has a silver lining. What about you? Have you had a good week? Thanks everyone for reading this and supporting me – you’re great!